A president, chairman or CEO before the age of 45? Young Presidents’ Organization (YPO) is a global network of young chief executives diversified among industries and types of businesses. Founded in 1950, YPO has now approximately 26,000 members in 130 countries. YPO is using bigDAWGS’ Musical Greeting Cards as an invitation for their annual Winter Party. 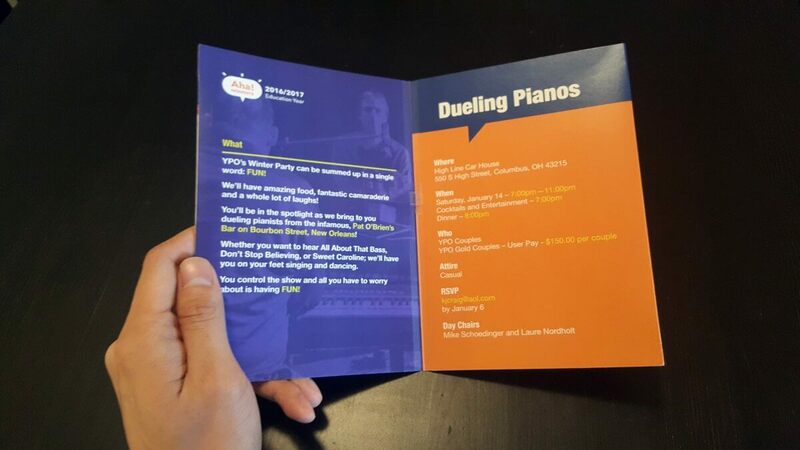 The event highlights the performance of the Dueling Piano from the infamous Pat O’Brien’s Bar on Bourbon Street, New Orleans. Let us have the fun that we all deserve. See you at the High Line Car House on January 14 from 7 to 11 pm!